It was a crazy year for me personally, since the swap coincided with the FIRST Robotics Competition season, and we are heavily involved with my son’s team. We completed the season at Pacific Northwest District Championships in Portland, OR last weekend, and we are completing the postcard swap this weekend. Whatever will I do with my free time?? But no matter what is going on with me, this postcard swap is all about YOU. The swap is really made great by the active participation of all of the artists, and you were a wonderfully active bunch in the Facebook Event Group this year! Thank you for continuing the fun of getting happy mail by reaching out to the artists who created your postcards and sharing the postcards you received online. As always, a theme emerges from each year which inspires the special edition art I create at the end of the swap. 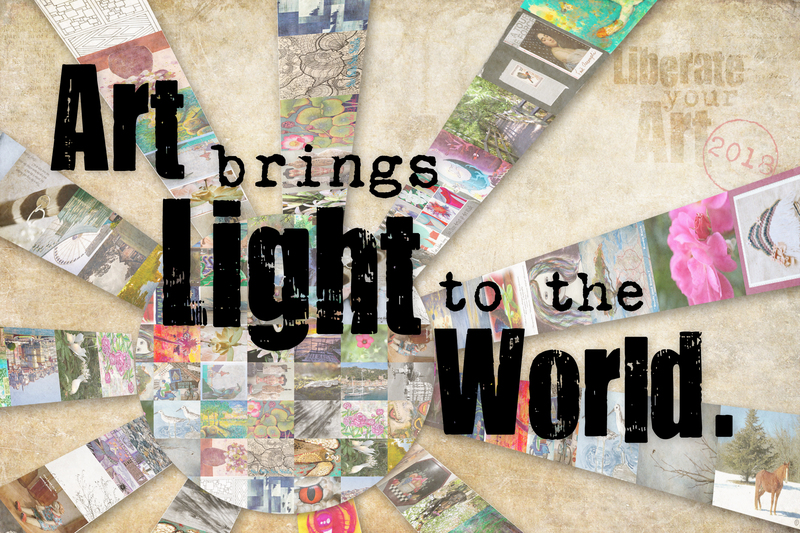 This year’s message, Art brings Light to the World, was inspired by a comment one of my swap helpers made on swap day. As we were sticking on labels and stamps, Kate said, “Wow, there is so much positive energy in this mail!” Such a great observation! Collectively, the art and personal messages of inspiration and encouragement you all liberate into the world is positive and powerful. Your art is a light in a world which is often characterized as fraught with conflict and division. Keep liberating! Thank you to everyone who participated this year. Enjoy the video of the art from ~70 participants who send me images. It’s always amazing to see the range of creativity in this group of artists! One 6×9″ fine art print of this year’s Final Celebration image “Art brings Light to the World” shown above. Having this image in your studio will remind you to keep liberating that art to make the world a better place. One copy of the second edition of my book, Art with an iPhone: A Photographer’s Guide to Creating Altered Realities, which was published at the end of 2017. Sharing my process is another piece of the art I liberate in the world! Eight packets of postcards from other participants. You all were a generous bunch, and even after sharing them with the helpers on swap day, I have extra postcards to share with the rest of you! All right, are you ready? Let’s celebrate! Share your experiences with this year’s swap. You can link in from a blog, Flickr, Facebook, even Instagram! Make sure your image is public, and you are good to go. It’s time to celebrate! 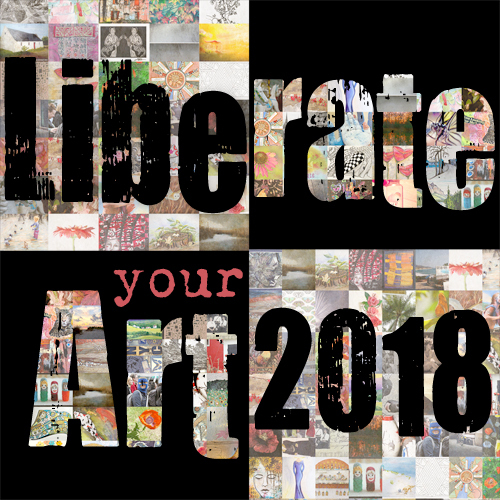 This weekend we wrap up the sixth annual Liberate Your Art Postcard Swap. It’s hard to believe we’ve been doing this for SIX YEARS now. It’s still so much fun, isn’t it? The total number of participants was lower this year, but the enthusiasm was just as high as ever! We even had artists in two new countries participating: Israel and Belarus. Awesome! I created this year’s final celebration art piece to remind each and every one of us that we are on a journey. We may start on the path of liberating our art timidly, fearful of the response we are going to get. Art is such a personal thing, it can feel like we are putting a piece of our heart and soul out there, where others may reject it. But you know what? The more you liberate your art, the easier it gets. The more confident you get. You just have to keep taking small steps. 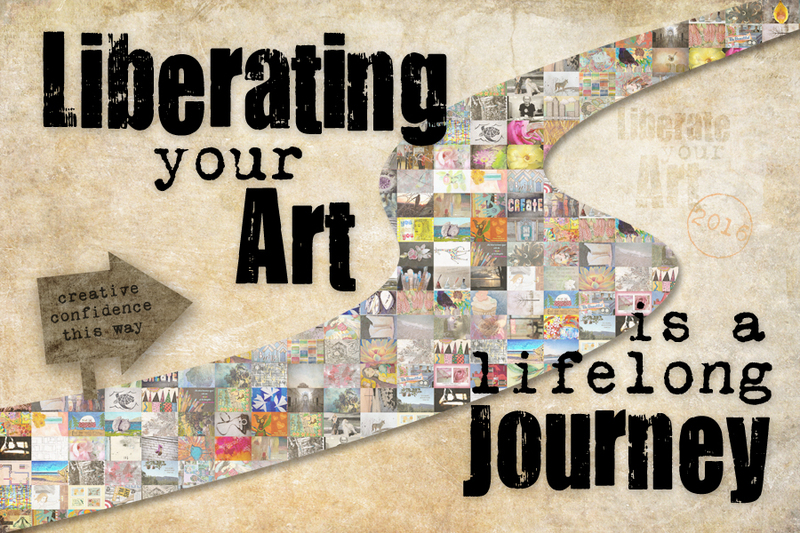 Liberating your art is a lifelong journey. Take a look at where you are today compared to where you started. You will see how far you have already come, even if you have a long way to go. Whether this is your first year, or your sixth year, or your twentieth year of liberating your art, there is a supportive creative community here to help you take that next step. Celebrate where you are, and encourage your fellow artists, no matter where they are at. Thank you to all participants for liberating your wonderful art, and for connecting to celebrate each other on this lifelong journey. 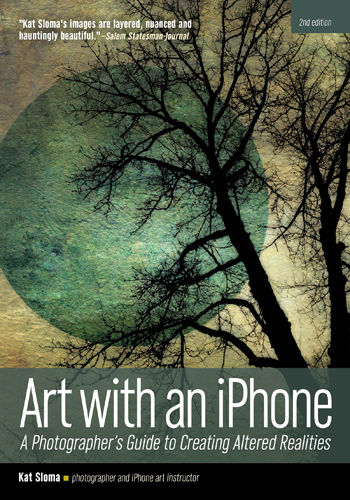 One copy of my book Art with an iPhone: A Photographer’s Guide to Creating Altered Realities. 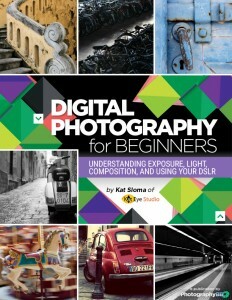 It’s so exciting to finally have my book in print and I want to share it with you! One 6×9″ fine art print, matted to 11×14″, of this year’s Final Celebration image “Lifelong Journey” shown above. Having this image in your studio will be a reminder to honor and celebrate wherever you are on your journey, and to take that next step. All right, are you ready? Let’s celebrate! Share your experiences with the 2016 swap. You can link in from a blog, Flickr, Facebook, even Instagram! Make sure your image is public, and you are good to go.